Farming has changed, and nothing tells the story more completely than the farm implements of the past. 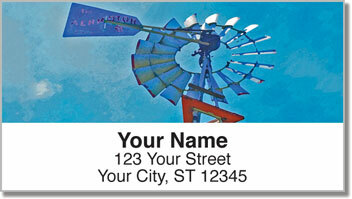 Such was our reason for creating Old Fashioned Farm Address Labels. The enticing close-up photographs of an antique tractor, windmill, wooden wagon and water pump all speak to a bygone era, when so much of what we take for granted today was accomplished by hand. 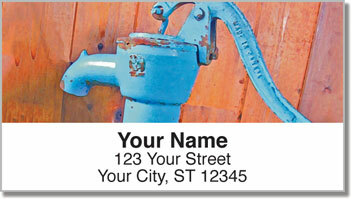 Now you can take a trip down Memory Lane whenever you prepare your envelopes or packages for the outgoing mail. 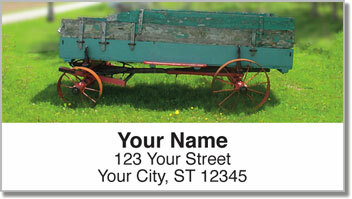 Choose Old Fashioned Farm Address Labels from CheckAdvantage. 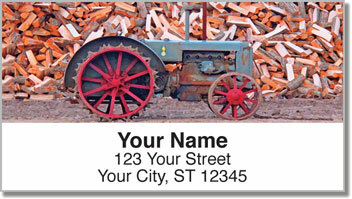 And to complete your home office accessories collection, order our matching Old Fashioned Farm Personal Checks today!